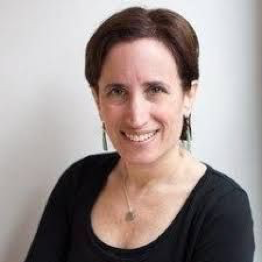 Pam Allyn's 7 Strengths Model, built on a social-emotional framework that honors children's languages, cultures, communities, and stories, builds a safe and loving environment in which to cultivate super readers and writers who believe in themselves and are ready for college, career, and civic engagement. 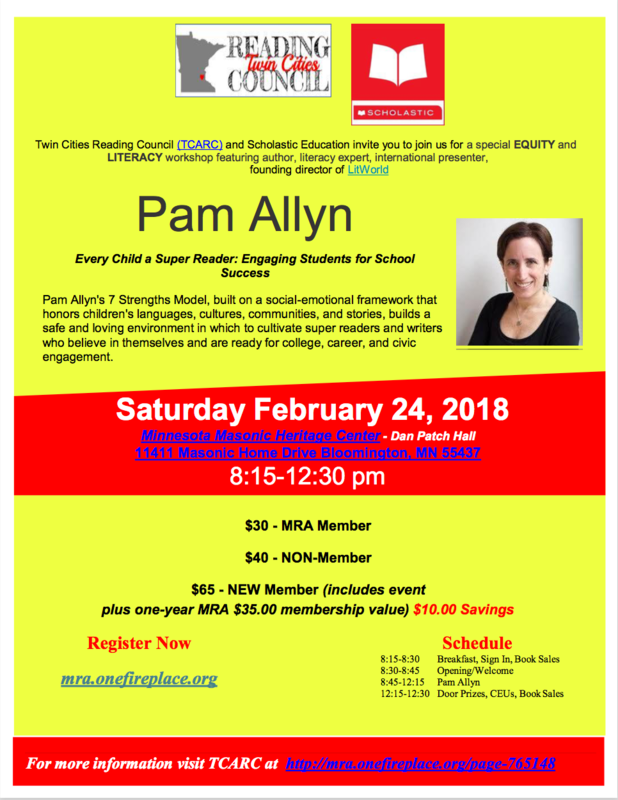 $65 - NEW Member (includes event plus one-year MRA $35.00 membership value) $10.00 Savings! 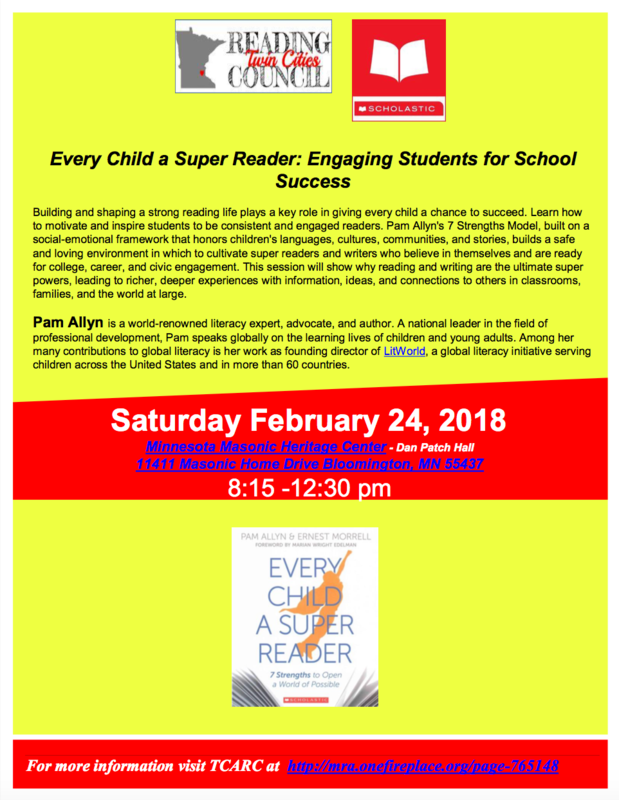 Download the flyer here or visit TCARC or mnreading.org for more information. 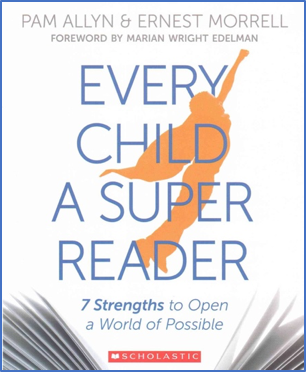 Check out this video clip: Pam Allyn and Ernest Morrell Video Clip - Super Readers!